From March 23rd to 25th, 2018, the Czechoslovak Company Winter Sport Games took place in the Slovakian Tatra Mountains. It was a sunny weekend, when about 150 employees from Czech and Slovak companies gathered to compete in 12 disciplines. The participants enjoyed the great atmosphere during the largest sport event for corporate teams. 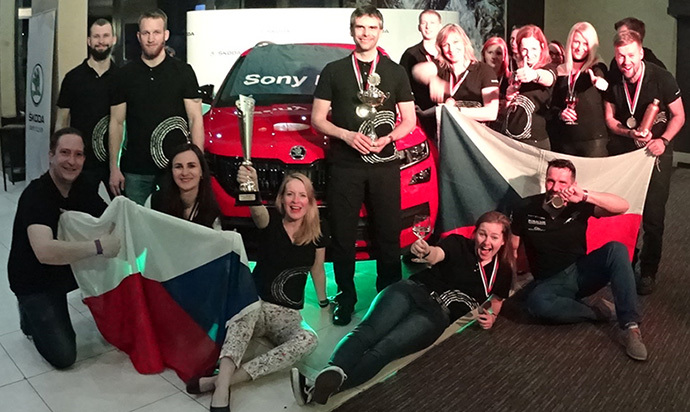 Sony DADC in the Czech Republic formed a very successful team of 15 skilled colleagues, who won amazing 8 medals. The team achieved the impressive 1st place amongst the Czech companies and the 2nd place amongst all 19 corporate teams from both countries. The Czechoslovak Company Winter Sport Games 2018 were another great experience for our colleagues in the Czech Republic. The participation did not only strengthen the relationships amongst our sports team members from the different departments within Sony DADC, it also created new ones across different companies. Congratulations to our successful colleagues for their athletic achievements!